Mikołaj Gliński: How did you come to find yourself living in England? Twelve. I finished my school and studies in London (Literature, Lingustics and Comparative Religion). For a long time, I had no contact at all with my motherland - it all started to come back to me later. In any case, on off for the past 30 years England has been my adopted home. And how did you go about learning English? Leaving Poland, I did not know English at all. I was sent to a special institute, where they taught the children of refugees. After three months of crash-coursing the local lingo, I was sent straight to a normal school where I had to learn not just more English, but Spanish also, and of course adapt to a whole new culture. It was exciting. England and Poland then were at two opposite spectrums of European politics and social realities. Hard to realise today, but Poland has come on quantum leaps and bounds since those grey communist days. But you speak fluent Polish even now? I speak it, but writing is a huge problem. I read a lot of contemporary Polish literature, poetry, translate it into English, but writing in Polish is next to impossible - if someone asks me to translate something from Polish, it completely baffles me - the grammar, punctuation, register. For those who studied linguistics or taught English, like I have, it is clear speaking, listening, reading and writing are four very separate skills, but most people lump them all into one. Also, most Polish people I know are terrible perfectionists when it comes to their English. They can read and understand every word, but ask them to speak or to write? They are too afraid of making mistakes. This holds so many people back. When did you start to translate Polish literature into English? I studied European literature, and Polish literature I read purely for pleasure. At some point, I discovered Andrzej Stasiuk, devoured his Walls of Hebron, then all his other books, then eventually Dukla and just fell in love with the writing. I started to translate Dukla not having a clue what I was doing or what I would do with the translations once they were done. I wanted to publish these tiny stories that end the book on a new literary portal I was setting up at the time (Off Magazine). But no, the publishing house in Germany, which owns the rights to the translations, never answered my emails asking for permission. So, to this very day, they remain unpublished in the “virtual drawer” of my laptop. Is that why you decided to start your own publishing company? How did you go about selecting authors? My strategy for OFF_Press was to start with poetry, and lots of it. We published around 15 books in our first three years of existence. I don't like poetry - I love great poetry. In Poland, 2,500 new books of poetry are published every year, so as an editor and translator I have a lot of authors to choose from. But most of it is poetry written by poets for other poets, and I 'm looking for that special kind, written by people who care about more than what the critic thinks, or whether I'll get an invite me to some literary festival, if it wins a literary prize, etc. We are very interested in exploring different genres of expression: music, film, poetry, song. And so the first dozen or so books we published come with a specially commissioned documentary, on DVD, which helps shed light on both the work of the writer and the country where they live. When we we were publishing the trilogy of books by Grzegorz Kwiatkowski, and I met with him in Gdansk to talk about the translations, we also recorded a film about him, showing the places where he walks, which inspire him, cemeteries, ship yards, cultural centres. In this way, we can give readers more of an idea where his inspiration comes from, what is Poland. With poetry, great translations are not enough. We have to lay down some contextual foundations for the books, something to help readers navigate the complex cultural coda contained in the writing. Fragment of the film attached to the book of Grzegorz Kwiatkowski: Should Not Have Been Born"
What else have you managed to publish? We have translated and published poems by names such as Bargielska, Dehnel, Sosnowski, Tkaczyszyn-Dycki, Podgórnik. In the anthology Free Over Blood we confronted the works of these established poets with new names on the scene: Joanna Lech, Mansztajn, Kwiatkowski, with the established stars of the Polish poetic Pantheon. It was a bit of the editorial experiment, trying to conceptualize what's going on in Polish poetry, associated by most readers around the world with the struggle for freedom, identity, historical truth - we wanted to know if this interests contemporary Polish poets and how they respond to this obligation to struggle on. What has been your biggest publishing success so far? It's hard to say. The afore mentioned Free Over Blood is a beautifully published book, hand-made, with translations from some of the best translators in the world, but 30 poets, even for people who are not afraid of poetry, is a bit much. The biggest popular success has been Wioletta Grzegorzewska, a writer who left Poland seven years ago and lives on the Isle of Wight - her poetry is very accessible, reaching out to all. Two years ago, we published a collections of her poems called Smena's Memory, also in Polish and English. Her debut novel Guguły has recently been a huge success in Poland, and my translations of her selected poems and short prose pieces will be released by Arc Publications in the autumn of this year. This is international success in the truest sense of the word, and it couldn't happen to a more deserving and humble writer. How would you summarize your experiences of publishing so far? Setting up a publishing house, you of course enter the world of Don Quixote – the competition is immense – in the UK alone a 100,000 new books are published each year, so it's a bit like charging at the sun wielding a sabre (z szabla na slonce). I knew early on that publishing just one or two titles, in large print runs, is a recipe for disaster. The chances of them selling in such a saturated market are ridiculously slim, so I decided to get into poetry publishing, a genre which never sells much, but which has high intellectual and cultural kudos. 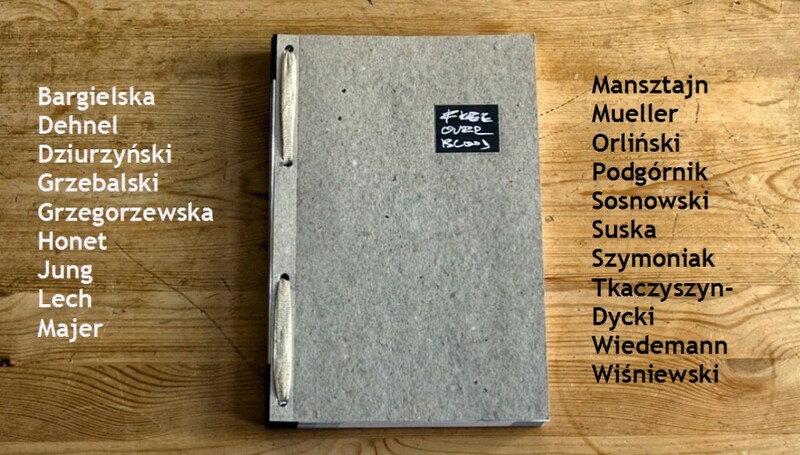 Polish poetry has a strong brand around the world, hence even a small publisher can quickly make its mark, gaining presence and respect, even if it keeps things small. We published many wonderful poets in well-delivered translations, in books which also look good (bound using ancient Japanese techniques). 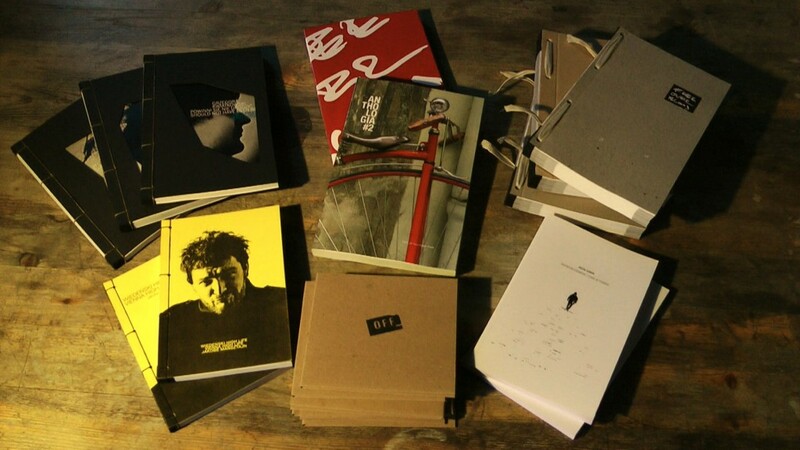 We keep the print runs small, but thanks to this we were able to publish more than ten quality titles in a short time. Our first three years of existence have been a sort of “research and development” period. Most publishers, if they fail to turn a profit in their first few years, go under. We are now gearing up to go into ebook publishing with some of our titles, along with some non-translated surprises still to come! Well, but how did you manage to survive publishing poetry – especially in translation, especially from Poland, especially in such small print runs? There are two ways to go about setting up a cultural project. One is to write some grant applications, secure the funding, then, if you get the money, finally make something happen. I took the other option, putting my own money into OFF_ – this means the pressure is on for me to invest it wisely, perhaps even see some kind of return. Truth is, I went into it not thinking at all like a businessman. But now I realise that was a mistake. Even new businesses take risks, need funding, but at least they have the expectation of being successful. Most new publishers just aim not to lose money. This is a strategic mistake, and terrible thinking in a world where fewer and fewer people buy or borrow books. So you invested your own money into what is a loss-leading business? I worked for ten years in a London prison, teaching English and creative writing, then being the governor of an anti-discrimination department. What money I saved from working to help change the culture of the biggest jail in Europe I then invested in OFF_. The money was mine to spend how I wanted, and rather than blow it on travels or drugs or hobbies, I decided to invest it in hand-made books of translated poetry. Sales of books of poetry in England is at a very low level, but on the other hand, it all takes place in such a niche area that everyone knows everyone, so you don't have to be very determined to promote your “product”. I hope, over time, to secure more grants, but I'm also interested in the problem of bad businesses practices in the world of publishing. Large corporations with large budgets and distribution networks seem to be the only ones capable of turning a profit - I want to see if you can earn money from publishing books on a smaller scale. There are a few such unique examples: in Poland we have Andrzej Stasiuk's Czarne and in the U.S. there is Dave Eggers' McSweeney's, but they are the exceptions and it is a difficult adventure... I am tempted to turn OFF_ into something of a think tank, as well as a publisher, but for now we are reconfiguring our operations, looking at the digital market, weighing up options. What are your plans now in publishing? No more poetry for a while, though certainly will go back there in time. We are considering publishing more prose – translated, but no longer in dual-translation, in English only. No more bilingual titles. They seem to be popular with fanatics of translated literature, but alienating for most readers. Is Poland still is the focus of your interests? OFF_Press was never only focused on Poland. The fact that most of the things that have so far been released related to my motherland were short term strategies. I have never promoted Polish culture and literature per se, because we are not interested activities under one flag. Our first ever book, Anthologia, published as far back as 2010, contained work from Poland, UK, US, New Zealand and Pakistan. 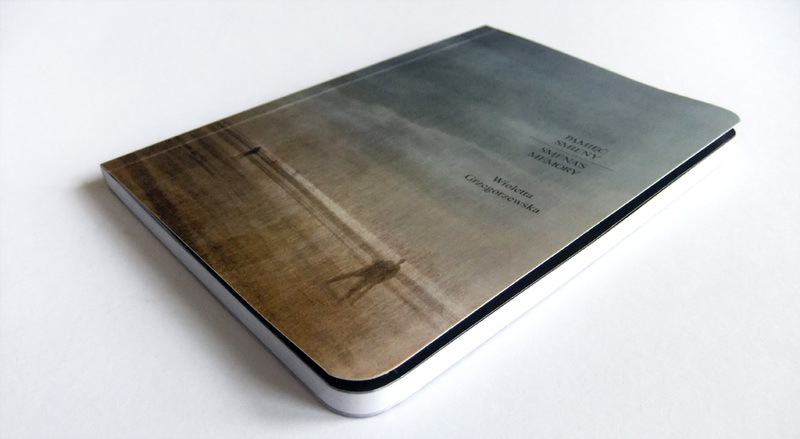 That's four continents in one single book... so, our ambitions have always been international. You know who buys your books? Poles in the UK? Some Poles in the UK, but we also ship it to America, Australia, Canada, the Balkans. These are certainly customers who are interested in Polish culture and hence in our books. And what are the problems with the promotion of Polish literature – are some authors are more suited for international markets? The question is, rather, whether Polish writers are producing works which are of interest to international readers. The last book by Masłowska was meant to be more global in scope, but it seems it too ended up a book for Poles. The recent book by Ziemowit Szczerek was great in places, but again it was sort of about Ukraine and sort of not, with a strong theme referencing Poland and her concerns. Not that easy to sell to international audiences. But the problem of promoting books is not specifically Polish, or translation related. Someone wise once said (an English writer, actually): “Publishers are the worst businesspeople in the world, because they don't care about the customer at all. All they care about is forcing on the world their own idea of what is good, what is interesting, what is valuable.” This snobbish blindness is why so few books sell, I think. What was the most successful Polish book in the UK in recent years? It seems to me the only book of fiction in recent years which achieved any sort of wider success was Witkowski's Lovetown - well translated, nicely bound, had a lot of good reviews in the more serious literary press. The same with White Fever by Hugo-Bader. I have high hopes for the future of Wioletta Grzegorzewska – of course one day we will see her Guguły translated into English. Perhaps even I will have the pleasure of translating it, though if she does become a big name in fiction, perhaps we will also need to find a bigger publisher to handle it, other than OFF_Press. In fact, that poem was easy to translate. It was more difficult to work on "Całujcie mnie wszyscy w dupę" - the very first phrase - "absztyfikanci Grubej Berty" – is too much of a challenge for any translator, historically impenetrable for English readers, hence I adapted it to refer to modern corporations which produce drone bombers. And not “naftowierty”, but fracking. In a word, not translation but adaptation. Faithful renditions are in such cases neither possible nor consistent with the spirit of the original. That poem was published on the Solidarity Park Poetry page with tags #direngeziparki , #occupygezi , #resistanbul during the protests in Turkey. How does Tuwim relate to occupygezi? I think the only way you can get back to Tuwim is to ask who was he, why did he write these poems? Because it seems to me he didn't write out of some solitary need to express himself - they were poems written for people, and were read by the masses, and moved people to think and act. And today, in the twenty-first century, we need such art and artists. How to do it in a way that it does not turn into propaganda, that is a problem. Authors such as Szlengel or Tuwim are of such high quality and also of such high cultural and social value​​, it just would have been a crime to take translate and publish in some niche publishing house in England, get some grants to cover the cost of production without considering distribution or publicity, which would make sure the books reached no one. It is a sacred mission for me to make sure writers of their calibre get known and read by millions. You are also the editor of a magazine which publishes creative writing by prisoners? Yes , we are working now on a new version of the site – Not Shut Up – same as with translated literature, we want the writing of those who are behind bars to reach a much wider audience. We want to publish e-books, shoot films, anything to make sure art by marginalised groups becomes part of the mainstream. In some ways, artists, migrants and prisoners have a lot in common. In the 21st century, it is outsiders who will be the most dynamic storytellers. I want to help get those stories heard.